This deal is definitely music to the ears of famished fans. 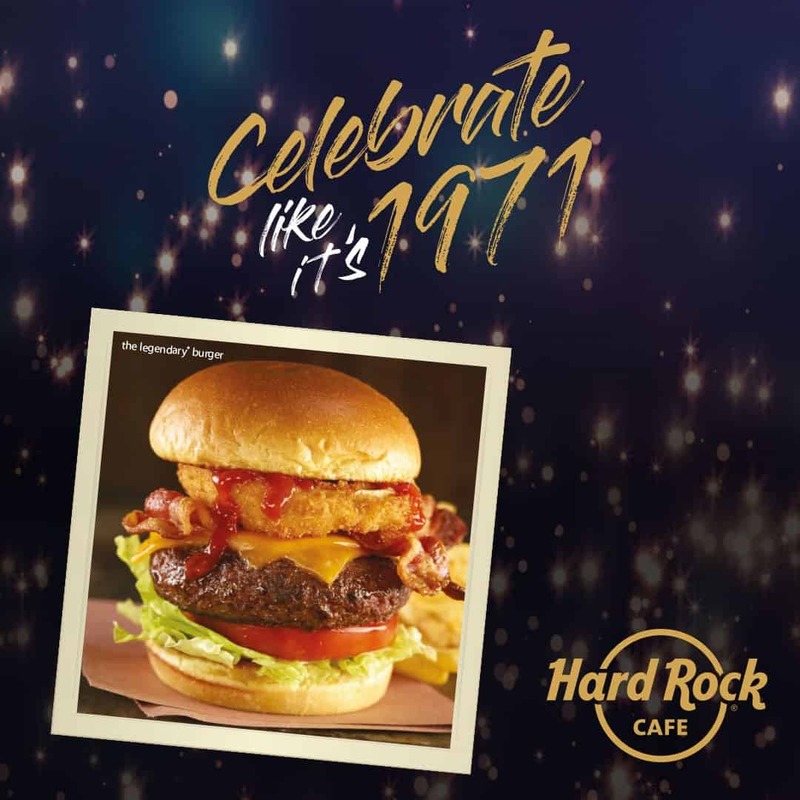 Hard Rock Café is celebrating the rockin’ & rollin’ chain’s 47th birthday in a big way. On June 14, the restaurant is “turning up the music” by offering customers its signature Original Legendary Burger for only 71 cents from 11 a.m. to noon at participating locations. To guarantee a spot, you may want to make an online reservation — click here and search for a specific location. Practically giving away the burgers, the promo is sure to be popular with tourists and locals alike. Just be sure to tip your waitperson properly and use the regular price of the burger as a guideline. The Original Legendary Burger features a Certified Angus Beef patty topped with smoked bacon, cheddar cheese, a golden fried onion ring, lettuce and vine-ripened tomato on a toasted brioche bun — served with the chain’s popular seasoned fries.